There is a photograph taken at the same time of the girls in the class, I had a copy but can not find it at the moment does anyone have a copy? This photograph has been forwarded to us by Michael Parr. 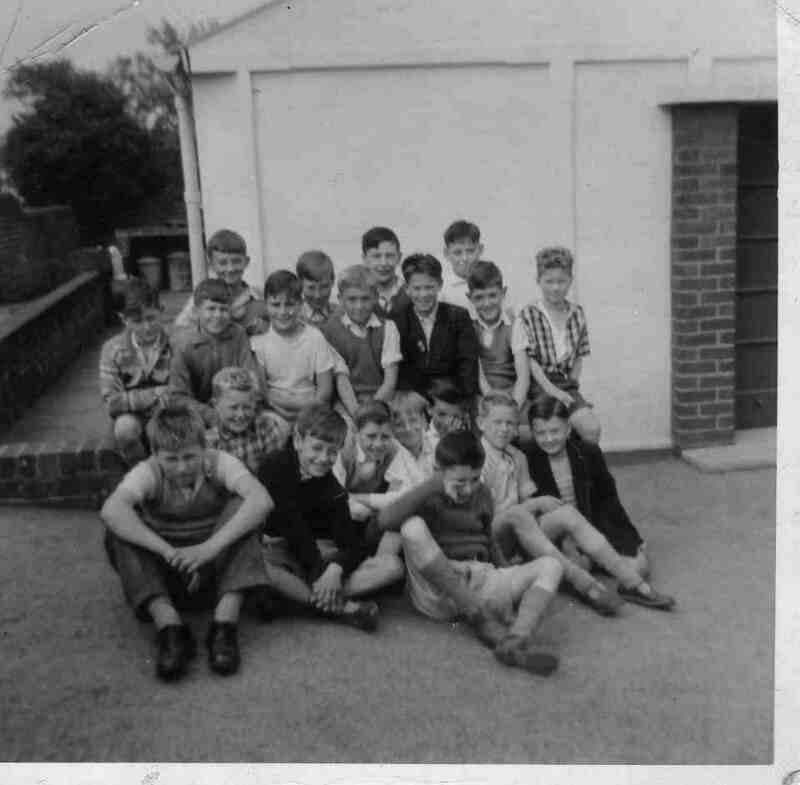 It is taken outside the Canteen at Killamarsh Endowed School in approximately 1957. Front row: Roy Millington, Roger Brownlow, ?? Any suggestions to fill the gaps please. Nice to hear from you after 40+ years. Yes it is Graham (Bill) Marsden.